For original, previously unpublished poems in English Language on any subject, in any style, up to 50 lines long (excluding title). Poems entered should also not be entered into another competition running at the same time. Poets of all nationalities living in any part of the world are eligible to enter. 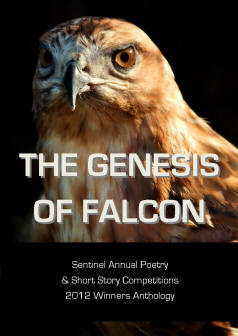 Publication: The winners and commended poems will receive first publication in Sentinel Literary Quarterly magazine. Fees: £4/1 poem, £7/2 poems, £9/3 poems, £11/4 poems, £12/5 poems, £16/7 poems, £22/10 poems. Send Cheques/Postal orders payable to SENTINEL POETRY MOVEMENT with poems, Entry Form or Cover Note to Sentinel Poetry Movement, Unit 136, 113-115 George Lane, South Woodford, London E18 1AB, United Kingdom.